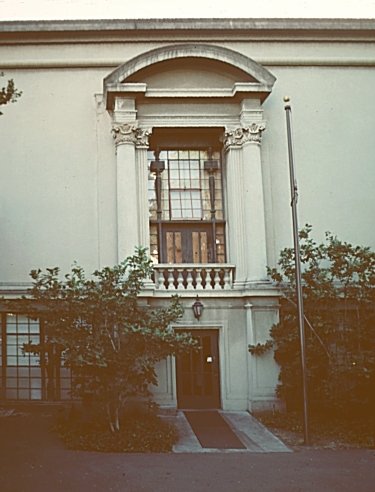 Images of Phoebe Apperson Hearst Memorial Gymnasium, U. C. Berkeley, California, by Julia Morgan and Bernard Maybeck. 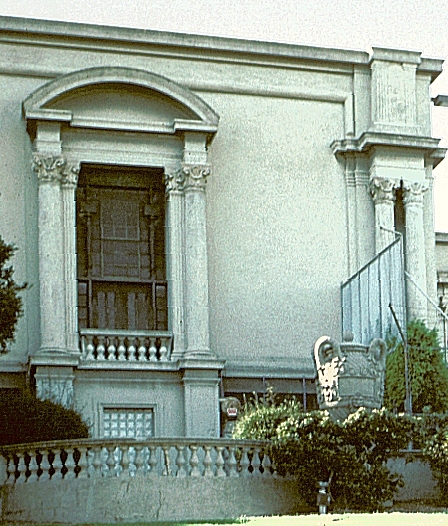 At the beginning of her career, Morgan worked with John Galen Howard, the architect in charge of the Berkeley campus from 1902-24. 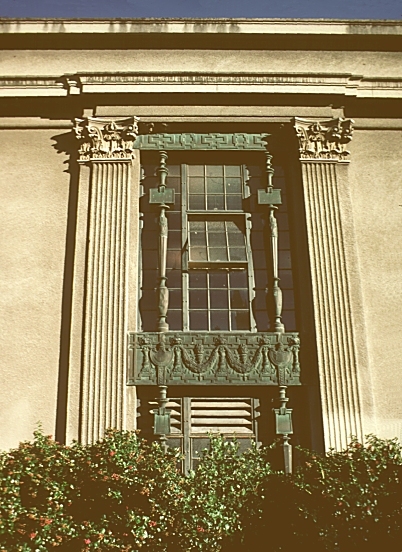 She was a draftsperson for his Hearst Mining Building and assistant supervising architect for the Greek Theater, both on the Berkeley campus. But as Boutelle explains, "the imperious, authoritarian Howard apparently never forgave her for opening her own office and for taking with her as junior partner a young man from his staff" (53). It was only later in the 1920s that Morgan had the opportunity to design buildings for the campus. 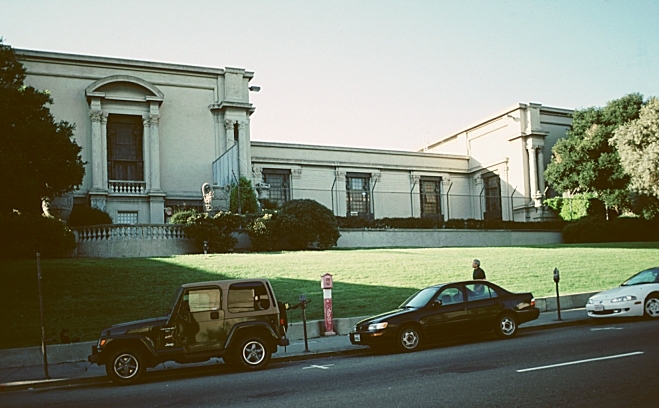 Working with Bernard Maybeck, Morgan designed this gymnasium, commissioned by William Randolph Hearst in honor of his mother. 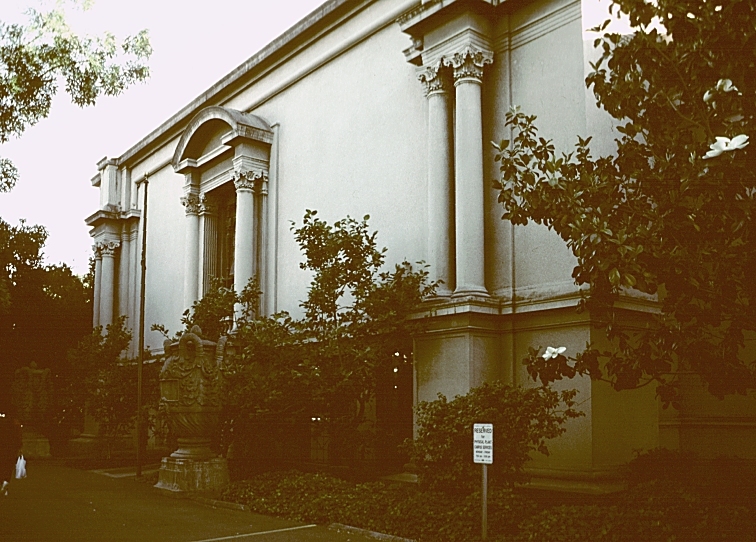 The street side faces Bancroft Way, the street separating the campus from the town to the south. 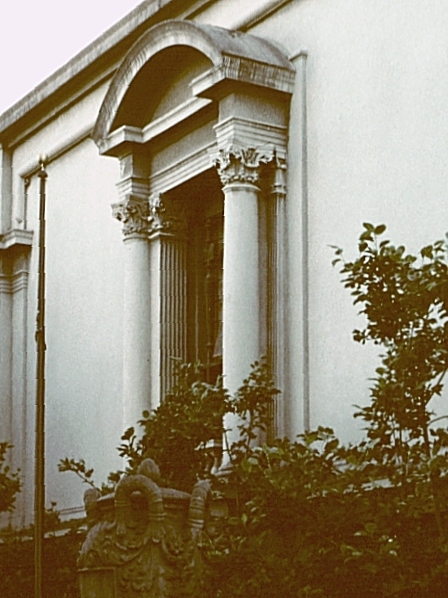 Walls here, with classic balustrades and urns punctuating the divisions, indicate the separation. 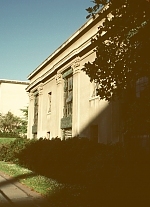 This classical Beaux-Arts building is made of reinforced concrete. Morgan designed three pools for this gym. 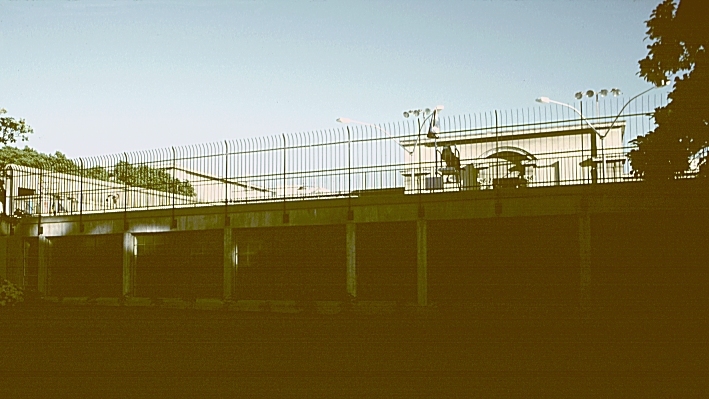 One overlooks the park-like setting of the campus and connects the two wings of the building. 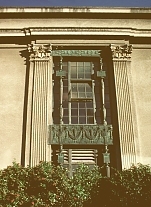 The windows are divided into two sections with a decorative bronze frieze.